ATLANTA, July 13, 2012 – The BB&T Atlanta Open’s focus on giving Georgia’s college tennis players a shot at pro stardom received an extra boost when University of Georgia and Georgia Tech players were selected to face off in the tournament’s qualifying tournament, which begins Saturday. The most intriguing matchup pits Wil Spencer, a two-time All American for the University of Georgia, versus King, a 2012 All American for Georgia Tech. Spencer has a 3-0 record against King in three fall collegiate tournaments. Spencer began his collegiate career at Texas A&M. Transferring to Georgia after his second year, he led the Bulldogs to the semifinals of the 2011 NCAA Championships and the Championships of the 2012 SEC Tournament. 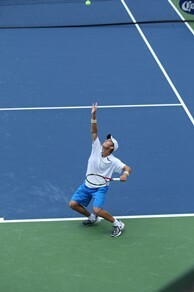 King, of Peachtree City, was one of the most accomplished doubles players to have played for Georgia Tech. Finishing his senior season with a record of 16-2 in doubles and his 80th career singles win. Other Georgia collegians competing are Drake Bernstein, a former UGA standout, Atlanta’s Nathan Pasha, a rising UGA sophomore, and Ignacio Taboada, another prominent Bulldog. Bernstein will take on Bradley Cox, of Duluth, who played for the Kentucky Wildcats. For the second year, a pair of Peach State rivals have been given a wild card into the main doubles draw. This year, King and Taboada will team up. Last year, the tandem of King and Bernstein picked up the biggest upset of the tournament when they eliminated the defending champion team of Scott Lipsky and Rajeev Ram in the first round. 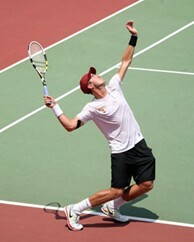 Bryant also announced two-time NCAA Singles Champion Steve Johnson of the University of Southern California will receive a wild card into the main draw. In 2012, his senior year, he led USC to its fourth straight NCAA Championship. Considered the most dominant men’s college player in recent memory, he won an astonishing 72 consecutive singles victories. Johnson is the only player ever to win back-to-back team and individual titles in the same years under the current NCAA tournament structure, according to the university.